This American classic 4WD SUV manufacturer by Ford, as the picture is fourth generation the Bronco released in 1989 still in good condition looking for a new home. Still based on the F-Series, comes with electronic fuel injection for its model year, had compete with Chevy K5 Blazer and Dodge Ramcharger in local market. The pics as confirm, it a looks good with straight body frame, no dent and no rust. The interior looks good, hope the panel, instruments and indicators all work good also. The engine photos less representative so we leave it to you, hope is runs good as seller says. 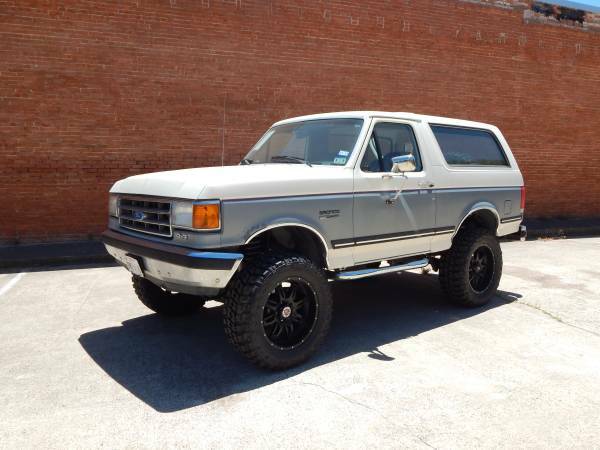 Overall is a nice a 1989 Lifted Ford Bronco on trade today, asking $10000 location in Bogata, Texas. This one of the most popular American early modern SUVs it was the smallest full size version of the Chevrolet C/K family. As the picture is a second generation K5 Blazer 1989 model year still on original condition come with extremely low original miles looking for a new home. The K5 Blazer its offered by Chevrolet to compete with International Scout, Ford Bronco and Toyota Land Cruiser in American market. The pics as confirm, it looks so pretty come in white, super clean inside and out, no engine photos to review we hope it stay healthy and strong according as its miles, was driven with a good maintenance also, 9 of 10 points be given as original late 80's car. 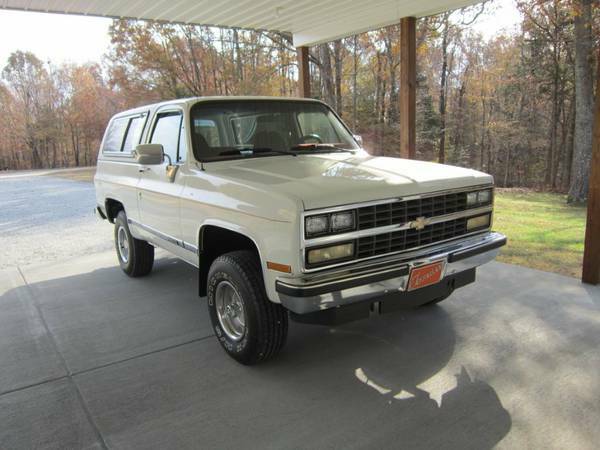 Overall it was an American classic car beauty with 4WD system... yes because it is automatic 1989 Chevy K5 Blazer with white dress ready to go for $18500 location in Huntingdon, Tennessee. So if you want bring it home, please come to see itself is a must. This a second generation of the Jetta, is a family car offered by German automaker Volkswagen. As the picture is a VW Jetta 1989 model year, come in white 4-door sedan body style, it has 20k miles with a turbo still on very good condition. 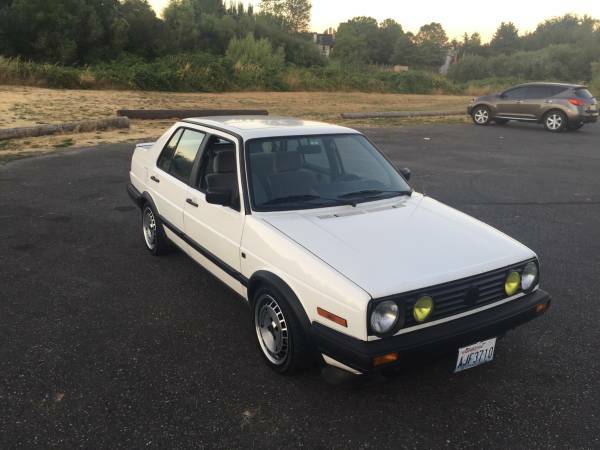 This is a great example of the classic Jetta MKII ready to go for $4200. The pics as confirm, it looks so coolest and clean, all looks perfect exterior. No pictures of the interior I hope is good and hopefully nothing is hidden, the engine looks pretty well maintained he comes with turbo and custom exhaust as its owner says, if you want it... you must come to see directly. It would be interesting car for Volkswagen enthusiast. Here's the Germany luxury roadster offered by Mercedes-Benz. 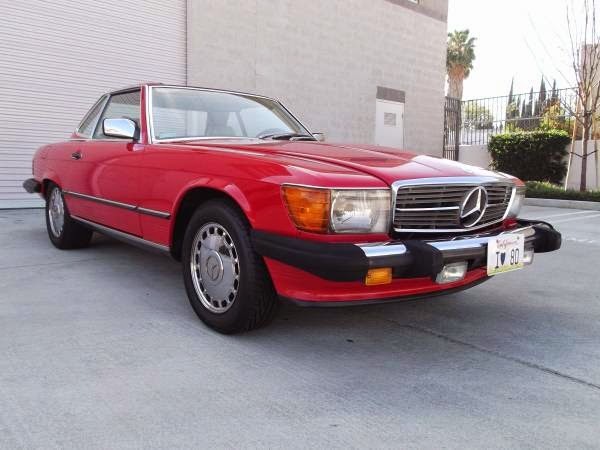 This a last hand built SL from the R107 class, known as 560 SL series built in 1989 comes in red with soft top and hard top, overall in mint condition. Awesome classic Mercedes. 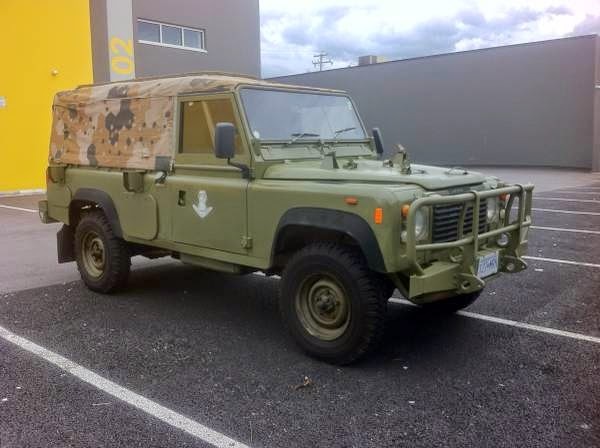 Light Military Utility Vehicle, produced by Land Rover in 1989. This a Defender 110 come equipped with the Australian Army spec powered swap by 3.9 litre Isuzu diesel engine. Own the ultimate in off-road hardware. Exemplifying the very best in practical hardware, the Perentie 110 was developed specifically for the Australian Army, boasting increased payload and a galvanised chassis with rollover protection. These are tough-as-nails, go-anywhere, do-anything kit. And because they're Land Rovers parts are easy to come by, making maintenance and service simple.